Every year thousands of carpenters injure their hands and fingers doing dangerous tasks such as sawing. In an effort to minimize injury and let carpenters focus on design and other bigger-picture tasks, a team from MIT's Computer Science and Artificial Intelligence Laboratory (CSAIL) has created AutoSaw, a system that lets nonexperts customize different items that can then be constructed with the help of robots. Users can choose from a range of carpenter-designed templates for chairs, desks, and other furniture. The team says that AutoSaw could eventually be used for projects as large as a deck or a porch. "If you're building a deck, you have to cut large sections of lumber to length, and that's often done on site," says CSAIL postdoc Jeffrey Lipton, who was a lead author on a related paper about the system. "Every time you put a hand near a blade, you're at risk. To avoid that, we've largely automated the process using a chop-saw and jigsaw." The system also offers flexibility for designing furniture to fit space-constrained houses and apartments. For example, it could allow a user to modify a desk to squeeze into an L-shaped living room, or customize a table to fit in a microkitchen. "Robots have already enabled mass production, but with artificial intelligence (AI) they have the potential to enable mass customization and personalization in almost everything we produce," says CSAIL director and co-author Daniela Rus. 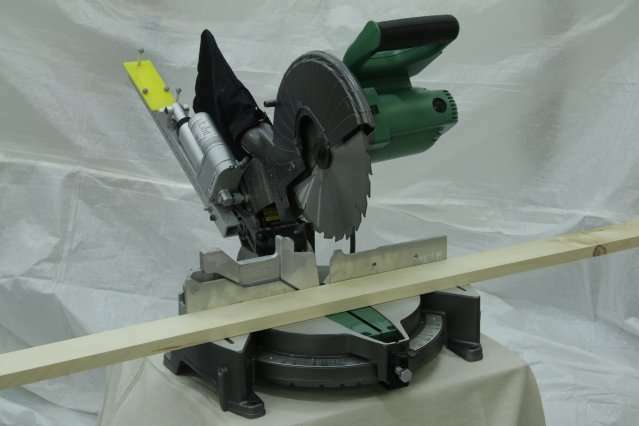 "AutoSaw shows this potential for easy access and customization in carpentry." 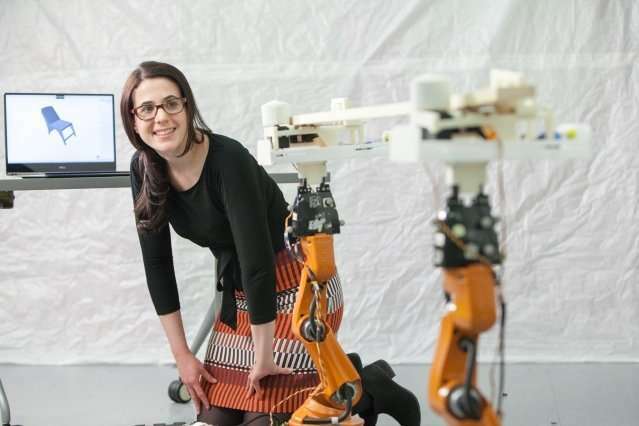 The paper, which will be presented in May at the International Conference on Robotics and Automation (ICRA) in Brisbane, Australia, was co-written by Lipton, Rus, and Ph.D. student Adriana Schulz. Other co-authors include MIT Professor Wojciech Matusik, Ph.D. student Andrew Spielberg, and undergraduate Luis Trueba. Software isn't a foreign concept for some carpenters. "Computer Numerical Control" (CNC) can convert designs into numbers that are fed to specially programmed tools to execute. However, the machines used for CNC fabrication are usually large and cumbersome, and users are limited to the size of the existing CNC tools. As a result, many carpenters continue to use chop-saws, jigsaws, and other hand tools that are low cost, easy to move, and simple to use. These tools, while useful for customization, still put people at a high risk of injury. AutoSaw draws on expert knowledge for designing, and robotics for the more risky cutting tasks. Using the existing CAD system OnShape with an interface of design templates, users can customize their furniture for things like size, sturdiness, and aesthetics. Once the design is finalized, it's sent to the robots to assist in the cutting process using the jigsaw and chop-saw. To cut lumber the team used motion-tracking software and small mobile robots—an approach that takes up less space and is more cost-effective than large robotic arms. Specifically, the team used a modified Roomba with a jigsaw attached to cut lumber of any shape on a plank. For the chopping, the team used two Kuka youBots to lift the beam, place it on the chop saw, and cut. "We added soft grippers to the robots to give them more flexibility, like that of a human carpenter," says Lipton. "This meant we could rely on the accuracy of the power tools instead of the rigid-bodied robots." After the robots finish with cutting, the user then assembles the new piece of furniture using step-by-step directions from the system. When testing the system, the teams' simulations showed that they could build a chair, shed, and deck. Using the robots, the team also made a table with an accuracy comparable to that of a human, without a real hand ever getting near a blade. "There have been many recent AI achievements in virtual environments, like playing Go and composing music," says Hod Lipson, a professor of mechanical engineering and data science at Columbia University. "Systems that can work in unstructured physical environments, such as this carpentry system, are notoriously difficult to make. This is truly a fascinating step forward." While AutoSaw is still a research platform, in the future the team plans to use materials such as wood, and integrate complex tasks such as drilling and gluing. "Our aim is to democratize furniture-customization," says Schulz. "We're trying to open up a realm of opportunities so users aren't bound to what they've bought at Ikea. Instead, they can make what best fits their needs." This story is republished courtesy of MIT News (web.mit.edu/newsoffice/), a popular site that covers news about MIT research, innovation and teaching.